Oregon Women for Agriculture supports the multiple use of public land with emphasis on stewardship. Oregon Women for Agriculture (OWA) was founded in 1969 and is an all-volunteer organization that works to see that agricultural interests are heard and dealt with fairly. OWA’s members include farmers, ranchers, foresters and other individuals who have an interest in promoting the importance of today’s agriculture to Oregon’s environment and economy. OWA is opposed to a National Monument being put in place without local input. Today many ranching families in Malheur County rely on the public grounds of what is proposed to be the Owyhee Canyon land monument. This proposed 2.5 million acre designation would consume 40% of the county’s total land base and would close down the cattle industry, which is the primary income of its residents. In 2014, cattle & calves were Oregon’s largest income generating commodity and Malheur County produces the majority of Oregon’s beef cattle. Malheur County and Oregon ranchers are stewards of the land. Today the majority of this ground is grazed, as the soil types and minimal annual rainfall does not allow for crops to be grown. The cattle that graze this ground help promote a balanced and diverse ecosystem. This would cease to exist if the residents of the local communities no longer controlled management. Livestock grazing prevents fires, controls nonnative species and promotes wildlife diversity. The practices used by Oregon ranchers today have helped preserve a vastly unique, beautiful and healthy environment in a very remote corner of the state. This national monument designation would force out local management. Those who know and understand the local environment will no longer be able to care for the land, provide for their families or contribute to the Oregon economy. When Oregon’s farmers and ranchers succeed, the entire state succeeds. We urge you to join us in OPPOSING the Owyhee Canyon Land National Monument designation. 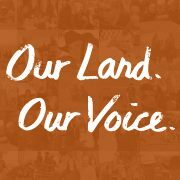 Visit Our Land, Our Voice for more information and to sign the petition. We support the comments made by Oregon Women for Agriculture. We are south-central Oregon ranchers and we graze our cattle on BLM permitted lands. My family has been grazing this land for four generations now. If it weren’t for our stewardship and care, the vegetation would be overgrown and unmannaged, the land would be more susceptible to wildfire, water sources would become dried up, and wildlife could not thrive. Permitted grazing brings in annual revenue, where an established monument does not. We support no monument of the proposed Owyhee Canyon Land. Keep Oregon working, and cattle ranchers on the range! Please consider Oregon jobs and economy and vote NO to the monument. Trouble is, with today’s Department of Interior, there is no longer such a thing as “our” land. They will take it as they please and shoot down those who resist them. Ask the Bundy’s and their friends & allies.